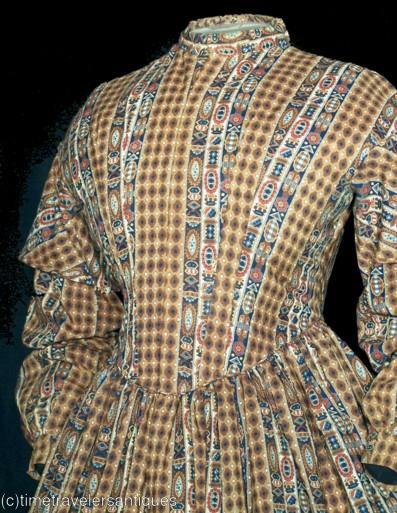 A wonderful original circa 1850 lady's one piece beautifully printed silk challis day dress with a lined and stayed bodice with a one piece back, a blind front hook and eye closure, drop piped shoulder seams to the full capped sleeves with hook and eye closures to the cuffs. A rounded drop front waistband piped at the hem. An unlined cartridge pleated skirt with a deep faced hem. 18" from shoulder to shoulder, a 38" bust, 31" waist, and 57" from shoulder to front hem. 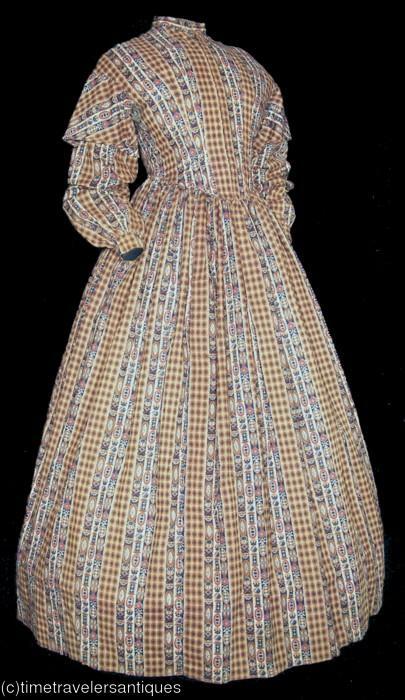 Shown here over a hoop skirt that is not included. 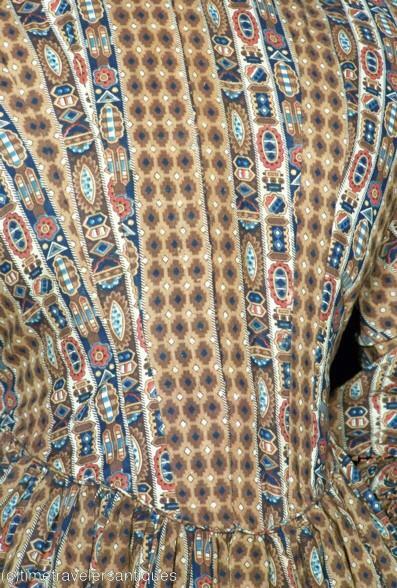 In excellent clean sound condition, with some very minor perspiration color to the bodice lining, a few pin dot age flaws, one 1" L shaped tear above the back hem, and one period darned mend to one cuff. 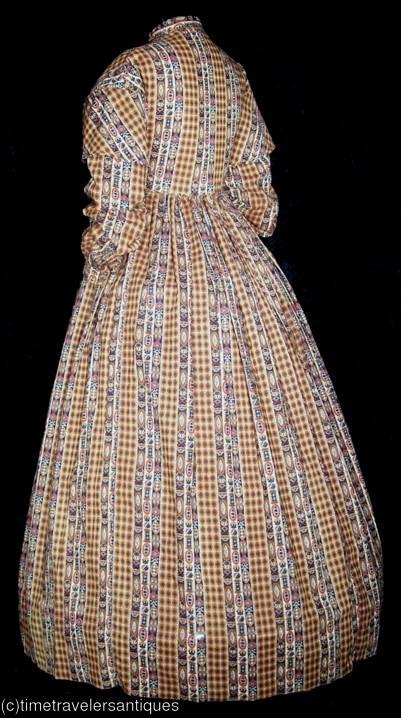 A fine pre Civil War era day dress. OMG! It's a wearable size too?! ?